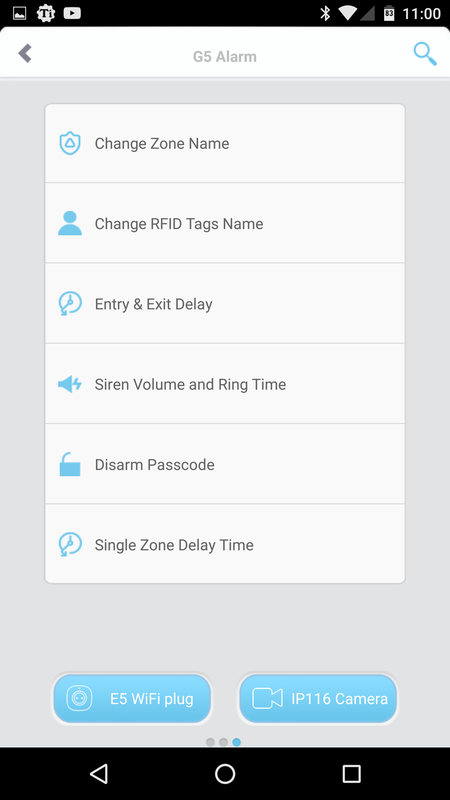 A house alarm review on MoDaCo? What's going on? Hold on though... this alarm is different, it's a smart alarm! The miGuard range of house alarms are made by Response Electronics, based in the UK. They were formed in 1990, and are now the UK's leading supplier of self installed intruder alarms. 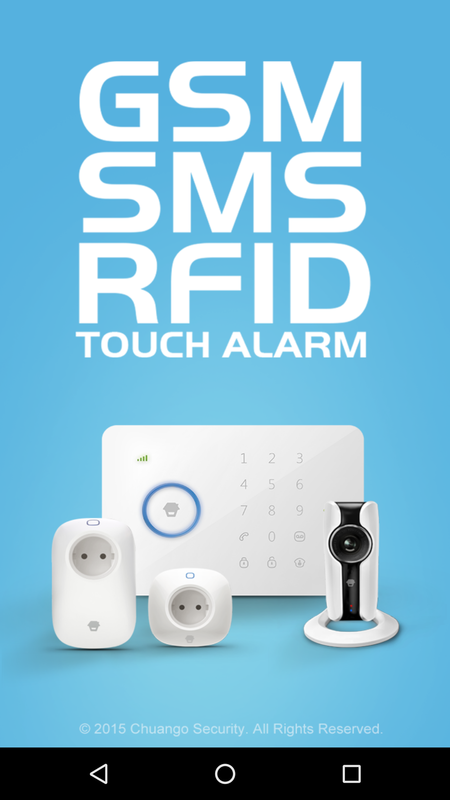 So let's open the boxes and see what makes this alarm so smart! 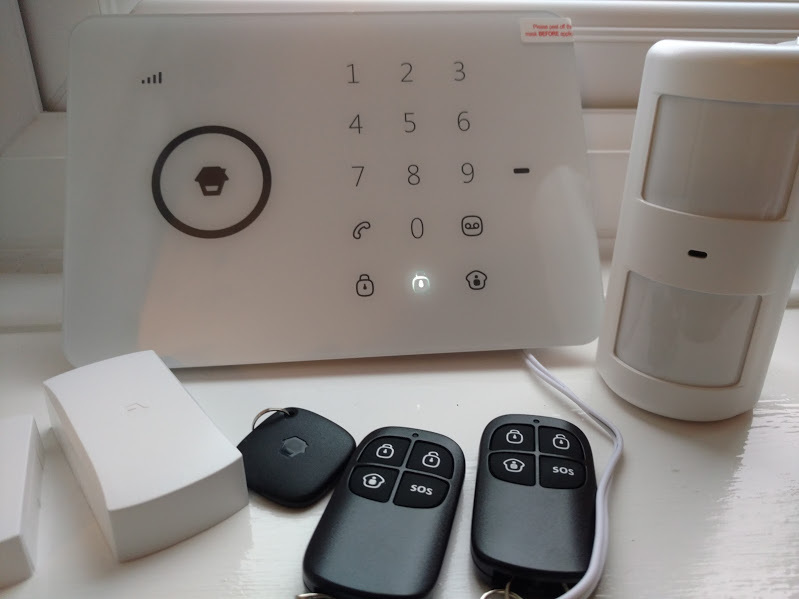 The unit supplied comes in two boxes, one contains the external siren, the smaller box contains the control unit, one door/window sensor, one pet friendly movement sensor, two remotes and RFID tags. The first thing I noticed when removing the different parts of the kit is that the control panel is really nice to look at and touch, it's very modern looking. It is necessary to read the instructions, but the ‘step by step’ order of the instructions are easy to follow and walk you through the setup in a sensible fashion. For this review, I used the supplied sticky pads to attach the door sensor to my front door, with a 45 second delay. This will allow enough time for me to turn the alarm off when entering the house. The IR movement sensor is positioned in the lounge on an immediate alarm. The supplied sensors come pre-paired to the control panel, however the external siren will need pairing. This was a simple enough process of pressing a button on the back of the siren, then the arm button on the control panel, the panel will then beep to confirm the pairing is complete. At this point I would recommend downloading the app from either the Apple app store, or Google Play for Android (sorry Windows phone users, no love for you). The control panel can be programmed without the app by text message (you will need to supply a SIM card for the unit regardless), but the app makes the process much easier. I was able to get the whole system set up within 30 mins, excluding fitment of the sensors and siren. As you can see from the messages above, I was being notified when the alarm was disarmed using the RFID tags. The system is armed by pressing the lock button on the control panel, or texting ‘1’ to the mobile number of your alarm panel. 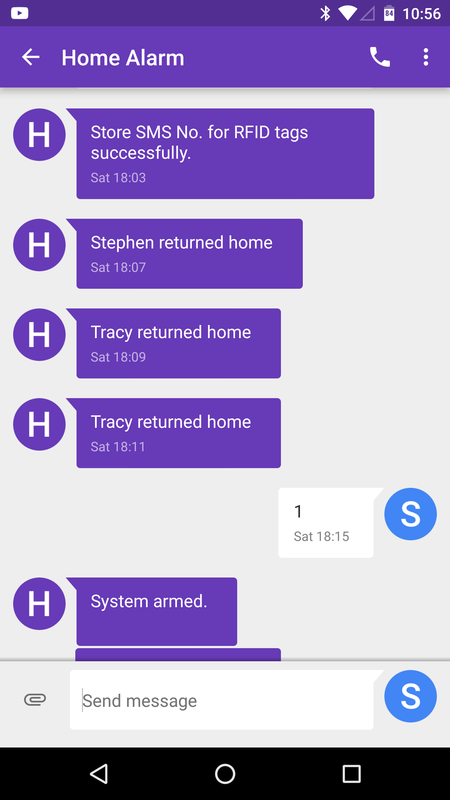 If you choose to arm via the app/SMS you will get an SMS reply to confirm the system has been armed. 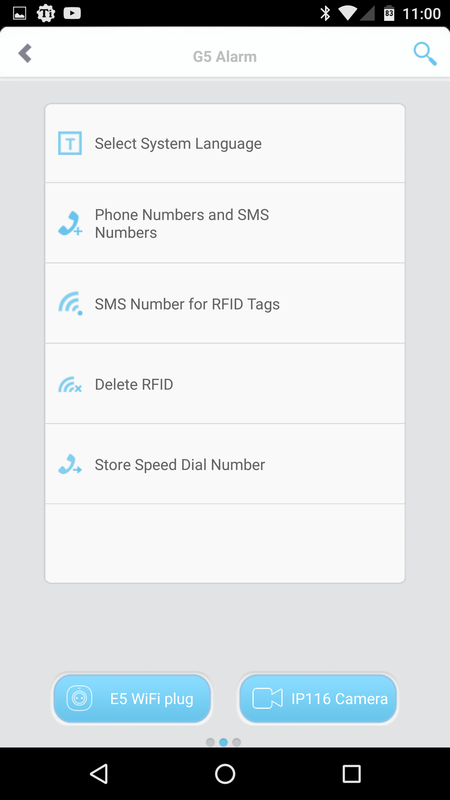 To disarm, hold your RFID tag in the circle of the control panel, or press unlock and enter your PIN code. When the alarm is triggered, as you would hope, it is pretty loud. You certainly wouldn’t be able to stay next to the control panel for too long before it became uncomfortable. Similarly, the external siren is certain to alert the local area that it has been activated. How pet friendly is it? Actually, pretty friendly. The instructions for the PIR sensor suggest if you are using it in a room where pets are permitted, you should mount the sensor vertical to the wall, and not tilt it. This basically means the sensor won’t be pointing down at your pet. In testing it worked well. I hid by the back door whilst the unit was in test mode, whilst Milo (our dog) walked around. The alarm was not triggered. As soon as I emerged from my hiding place, the sensor was triggered. 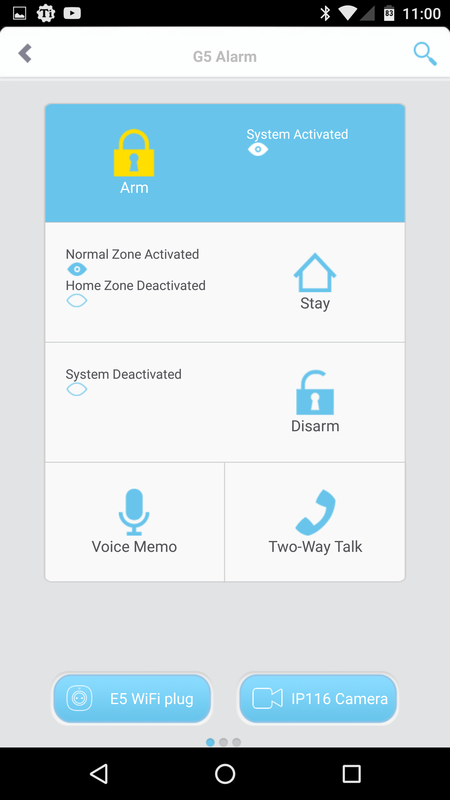 A good looking, simple to setup home alarm system; it has the added benefit of SMS/App controls. 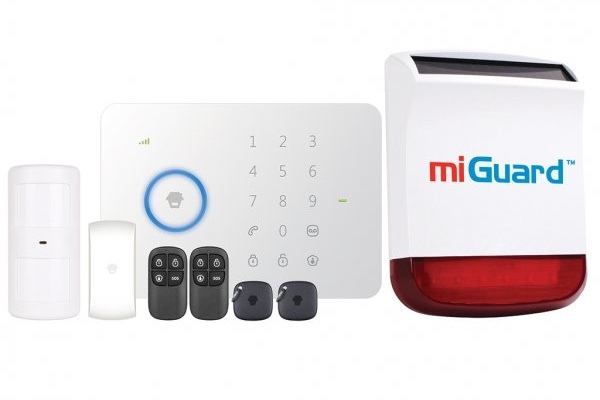 In comparison to my current self-install home alarm system, the miGuard gives me the same security and peace of mind, but with the added benefits of remote control, and SMS alerts. I love the RFID tags. Imagine having family to stay at your house, and trying to explain the arm and disarm procedure. 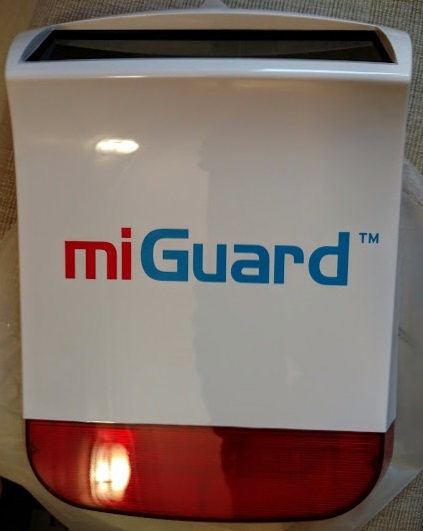 With the miGuard all they need to do is press the lock button when leaving, and flash the RFID tag at the control unit when they get back. Simple! I would suggest you count up the amount of door/window and PIR sensors you will need in advance of ordering. This kit came with one of each, however my current system has five window/door sensors and three PIR sensors. The additional sensors, and optional extras can be ordered from the Response website.